Atlantic Maritimes Tour and Viking Trail – The Great Canadian Travel Co. Combine the Atlantic Maritimes and the Newfoundland’s Viking Trail itineraries to make this 18-day combo tour. Featured are highlights of four maritime provinces, New Brunswick, Prince Edward Island, Nova Scotia, and Newfoundland’s west coast, with a touch of Viking history! It’s also possible to extend and enjoy a full tour of Newfoundland. Prices are shown in CA$ per person based on four people sharing a quad room, three people sharing a triple room, two people sharing a twin room and one person in a single. Arrive in Halifax and check in to our accommodations which are ideally located in the downtown core of this vibrant and cosmopolitan urban centre on the Atlantic Ocean. Meet our Tour Director and fellow travelers this evening at a Meet and Greet Event. Option: You may wish to add additional nights in Halifax or a city tour to your vacation package. Bursting with culture and rich history, Nova Scotia’s capital city has much to offer. Enjoy a day trip to picturesque St. Andrews by-the Sea where the quaint charm of this coastal town is sure to captivate. After a Whale Watching Boat Tour (weather permitting), the afternoon is ours to experience the friendly people, beautiful architecture, and rich marine life of this seaside gem at our own pace. 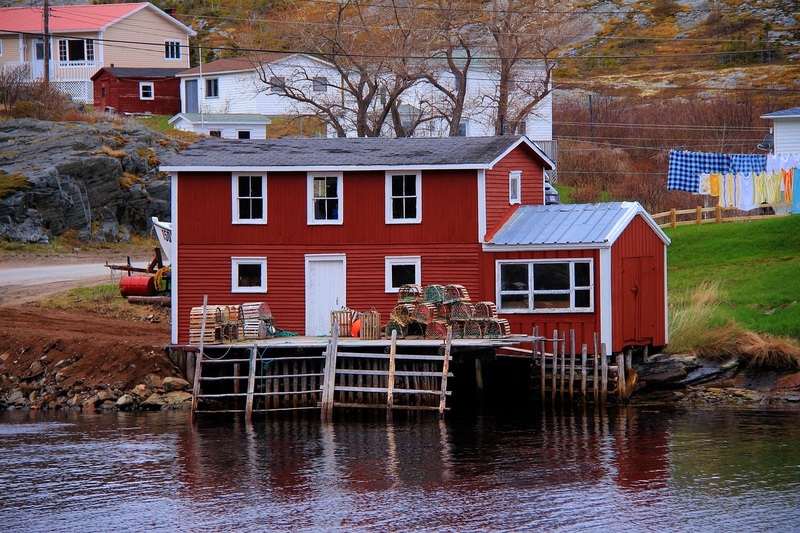 Discover the rustic charm of the renowned fishing village of Peggy’s Cove where we will enjoy breakfast. Travel Nova Scotia’s South Shore and on to the UNESCO World Heritage Town of Lunenburg, renowned for her fleets of Grand Banks’ fishing schooners. Take a walking tour to fully experience one of the most remarkably preserved colonial settlements in the New World, and visit the Fisheries Museum of the Atlantic to learn about the town’s famous seafaring heritage. We are then off to postcard-perfect Mahone Bay where a trinity of 19th century-built churches represents an iconic cultural landscape of Nova Scotia. Enjoy some free time to stroll through the town and chat with the welcoming locals who have been known to share superstitions, legends and fables that date back to the rum-running days. Arrive in Western Shore for the night and learn of legendary Oak Island – home of the world’s longest running hunt for lost treasure. We overnight at a peaceful and serene ocean-side resort. Once only accessible by ferry, today we arrive on Prince Edward Island via the Confederation Bridge, the world’s longest continuous multi-span bridge. En route, learn about Mi’kmaq culture at the Glooscap Heritage Centre & Mi’kmaq Museum. Arrive at your accommodation in Charlottetown, the birthplace of Canada, for a two-night stay. Take in a theatre performance this evening by local entertainers at the Confederation Centre of the Arts, or a substituted activity depending on the theatre schedule the date of your tour. Enjoy a free morning in Charlottetown, Canada birthplace, or join a complimentary walking tour of the city. 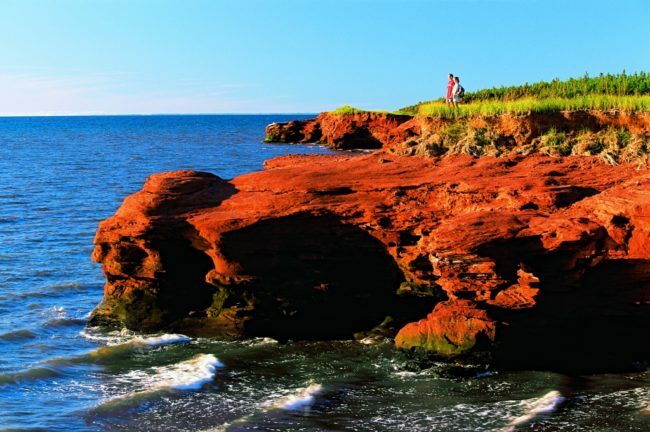 This afternoon, we drive by red cliffs, white beaches, gently sloping sand dunes and green fields as we make our way to Prince Edward Island National Park. Before returning to Charlottetown, we visit Green Gables Heritage Site, the alluring inspiration of Lucy Maud Montgomery’s classic Anne of Green Gables books. You will experience true Maritime hospitality this evening at a traditional lobster supper (alternate menu available). Ferry over the Northumberland Strait back to Nova Scotia and proceed to Cape Breton Island – the Scotland of North America – via the Canso Causeway. Visit the Alexander Graham Bell National Historic Site in Baddeck to learn of the many accomplishments of this genius who made his home on the island. Arrive at our accommodations on the Bras d’Or Lake where we will spend two nights. We’re off to experience one of the most stunningly picturesque drives in North America. The Cabot Trail winds around the rocky splendour of Cape Breton’s northern shore, ascending to the incredible plateaus of Cape Breton Highlands National Park. 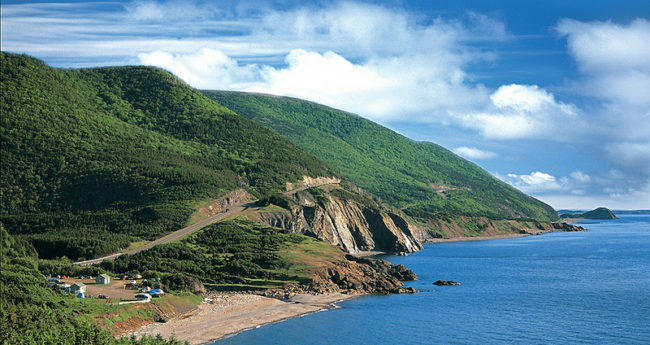 Look-offs offer unforgettable vistas of Cape Breton’s rugged coastline so be sure to have your camera on hand. Our day is complimented by a Whale Watching Boat Tour (weather permitting). The Fortress of Louisbourg National Historic Site awaits us today. Words cannot do justice to this reconstruction depicting one fifth of the settlement of 1744 New France. Roam the streets and chat with authentically costumed guides. Say farewell to your tour director and passengers of the Maritime portion of your tour and return to the Inverary Resort for the afternoon. Your Newfoundland tour director and fellow travellers will arrive in time for your to become aquainted over dinner. After dinner it’s off to North Sydney to board the Marine Atlantic ferry* for a relaxing overnight crossing to Port aux Basques, your port of entry on the island of Newfoundland. **As there is no baggage handling on the ferry it’s recommended that you plan to leave your suitcase on the coach during the crossing and pack your carry-on with essentials for your overnight ferry trip. 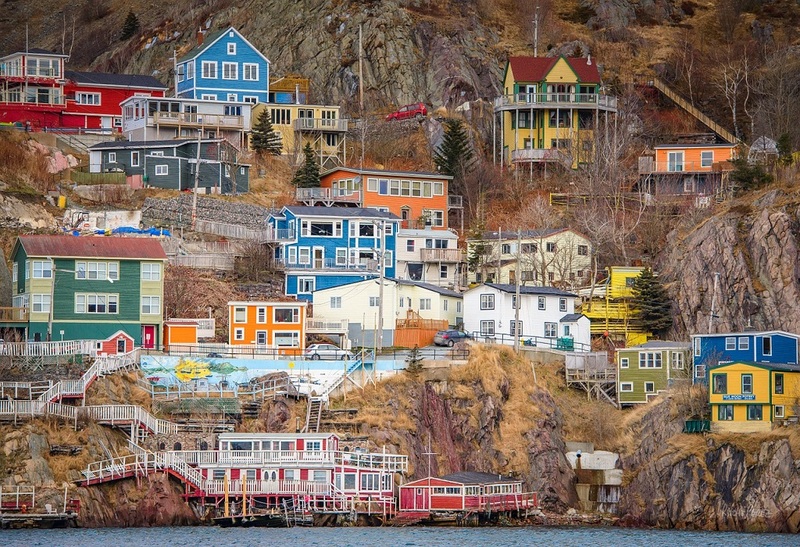 Drive through the Codroy Valley and on to Corner Brook, the largest city on the west coast. Your journey continues through Gros Morne National Park – to be enjoyed later on during your tour – to the fishing community of Port au Choix. Discover why Gros Morne National Park is truly one of the highlights of your tour. Visit the Lobster Cove Lighthouse. Enjoy a scenic boat tour (weather permitting) as you learn the geology of the Tablelands, see the bald eagles that frequent the deep waters of the fjord, and hear the history of the small villages nestled on the shores. 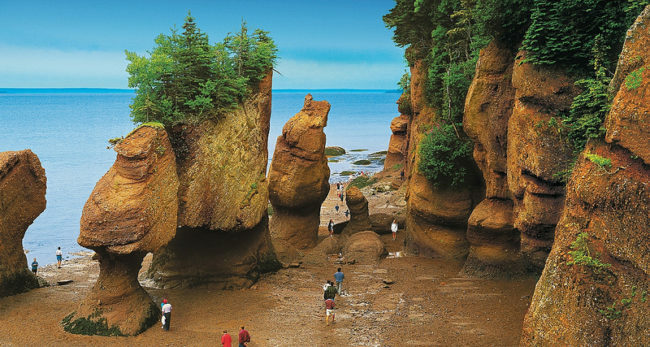 It is an unforgettable experience; some say the scenery is unequalled in eastern Canada. Return to Gros Morne National Park to visit the Lobster Cove Head Lighthouse and then continue on to the Deer Lake Airport where your arrangements with Atlantic Tours end. Fresh salt air, sandy beaches, rocky coves, cosmopolitan cities, remote lighthouses, rich history, warm hospitality, rustic fishing villages, succulent seafood, unspoiled nature, varied activities, first-rate facilities and travel routes… all of these things and more make Canada’s Maritime Provinces one of the world’s most popular destinations. Your Atlantic Canadian journey continues to Newfoundland & Labrador where thousands of years of history come alive as you explore the West Coast. 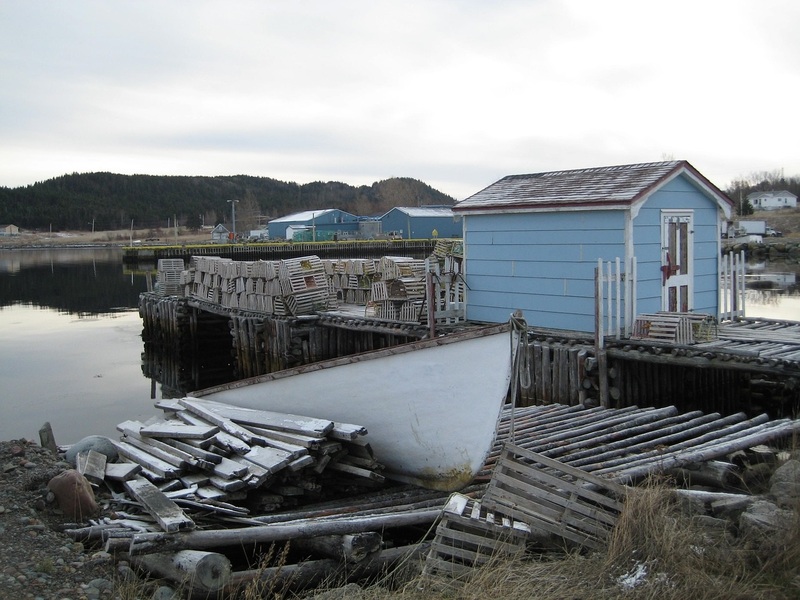 Learn about ancient peoples-the Maritime Archaic and Dorset Indians at Port au Choix, the Vikings in L’Anse aux Meadows, and the Basque Whalers in Red Bay – as you meet the hospitable and friendly people of today. See the beauty of Gros Morne National Park – a UNESCO World Heritage Site and coastal fishing communities. Take a boat tour in St. Anthony (weather permitting) where you may see whales and, depending on the time of year, icebergs! 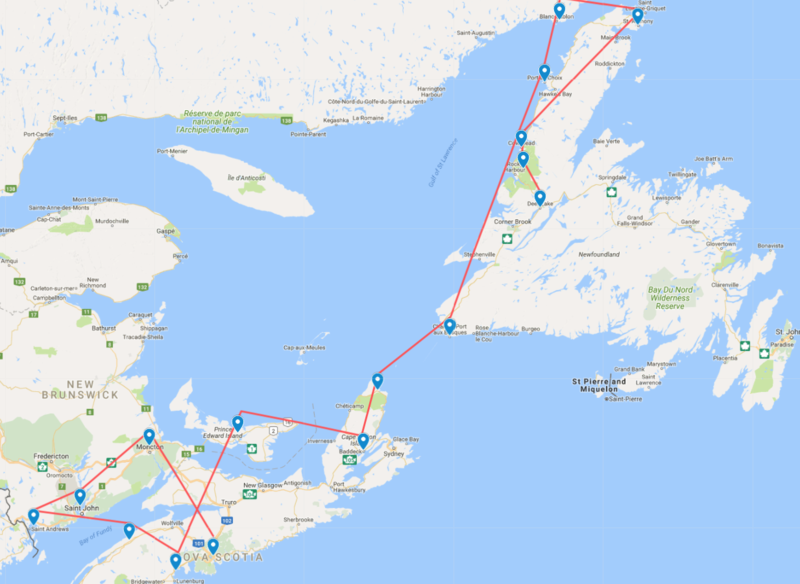 This tour is a combination of the Atlantic Maritimes tour (comprised of three shorter tours) and the Newfoundland and Labrador Viking Trail tour. Combining tours provides a lot of flexibility of taking only a portion of the tour if the combo tours are too long. It does, however, necessitate some crossover days as tour participants are leaving and joining tours in progress and a change of tour director en-route.